Early on a late August morning, the downtown Austin, Texas, comes to life. 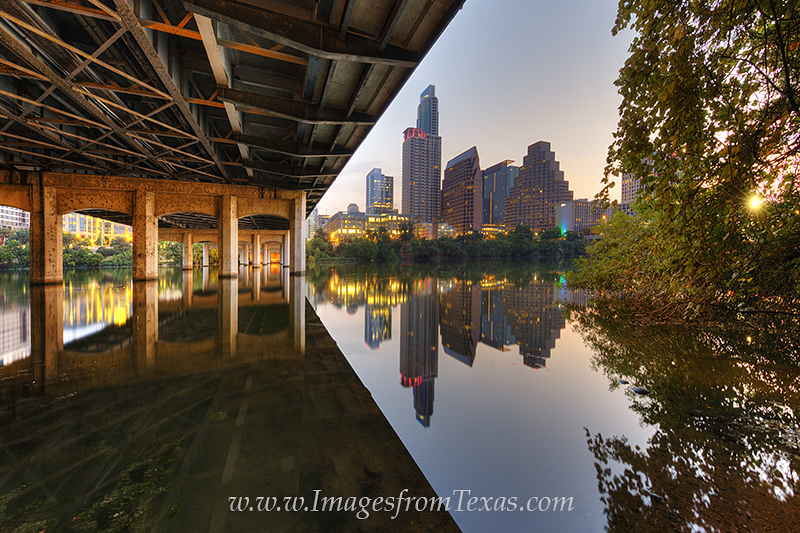 This picture that overlooks Lady Bird Lake was taken from beneath the 1st Street Bridge. Photo © copyright by Rob Greebon.